New Delhi Sep 15 (IANS) The CBI on Saturday defended its Joint Director A.K. Sharma saying the look out circular notice against fugitive businessman Vijay Mallya was not changed "individually" but the decision was taken at the "appropriate level". "Some baseless allegations have been made by certain individuals against a senior CBI officer. 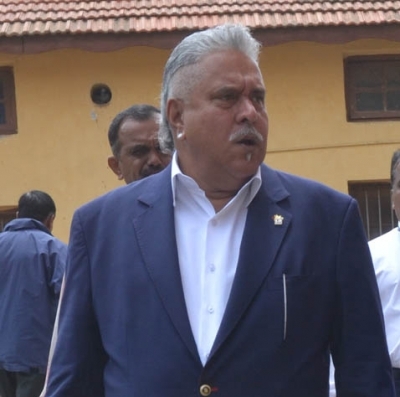 THe CBI has stated many times that the decision to change the LOC against Mallya was taken because at the time there was not sufficient ground for the agency to detain or arrest him " CBI spokesperson Abhishek Dayal said. "The decision was taken at the appropriate level as a part of process and not individually by the officer as alleged " he said. The CBI s response came soon after Congress President Rahul Gandhi accused Sharma who is a Gujarat IPS officer of helping Mallya to escape from the country. Gandhi said that Sharma who was posted in the CBI in 2015 was also "in charge of Nirav Modi and Mehul Choksi s escape plans". "CBI Joint Director A.K. Sharma weakened Mallya s look-out notice allowing Mallya to escape. Sharma a Gujarat cadre officer is the PM s blue-eyed boy in the CBI. The same officer was in charge of Nirav Modi and Mehul Choksi s escape plans. Ooops...investigation!" Gandhi tweeted. Earlier this week the Congress leader had accused Union Finance Minister Arun Jaitley of "colluding" with Mallya to help him flee the country and demanded his resignation. "Therefore the question of any CBI officer having any hand in their fleeing the country does not arise. Prompt action was taken by CBI in the case immediately after the complaint was received from the bank " Dayal added. Mallya is currently in London where a court finished hearing on India s extradition case against him on Wednesday and is due to pronounce its verdict on December 10. Nirav Modi left India along with his family in the first week of January weeks before the scam was reported to the CBI. His wife Ami a US citizen left on January 6 and Choksi on January 4. A Red Corner Notice has been issued by the Interpol against Nirav Modi his brother Neeshal Modi and sister Purvi Modi who are Belgian citizens.